NEW YORK (CNS) — Nintendo, the multibillion-dollar gaming giant, is looking both forward and back. It’s releasing a sleek new hand-held console, the 3DS XL. At the same time, the company is reissuing some of its classic titles from the 1980s. The reissues, though, do come with a twist — the games are now “remixes.” The first two retooled versions went on sale in 2013 and 2014 for the Wii U system. Now the “Ultimate NES Remix” has been released for the portable 3DS system. This makes sense, as most of these titles originated — more than two decades ago — on handheld devices. 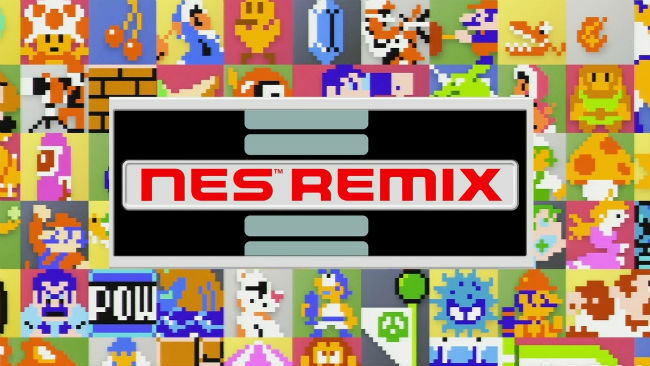 “Ultimate NES Remix” takes parts from old “8-bit” games, blends them together — and then adds new challenges. Gamers are basically playing snippets from a variety of back-in-the-day standards, with the refinement that unexpected characters and obstacle pop up. It sounds like chaos. But the anarchic nature of the games serves to introduce clever surprises rather than sow confusion. These titles hail from an earlier, more innocent age of gaming. They include mild cartoon violence but nothing that’s morally objectionable. With a price of just under $30, “Ultimate NES Remix” also won’t break most budgets, unlike some more elaborate — and more ethically problematic — newcomers. Some players have complained that the full content of the originals is not included in the new iterations. But these games, while charming, are several decades old, and so could easily become tedious if played in whole. “Pong,” for example, which once represented the cutting edge of digital gameplay, could almost pass, nowadays, for a soothing accompaniment to contemplative prayer. With the remixed format, players get a few minutes of this or that game; earn stars by speedily accomplishing the task at hand — jumping over barrels in the classic “Donkey Kong,” for example — and then move on. Simultaneously a glimpse into the past for youngsters and a nostalgic trip down memory lane for their elders, “Ultimate NES Remix” provides a worry-free gaming experience suitable for the whole family.